Designed by community artist VICKISIGH, 100% of the proceeds ($15 USD) from these t-shirt sales ($30 USD) will be donated to BCRF. Head over to the Blizzard Gear Store to learn more and pre-order today! 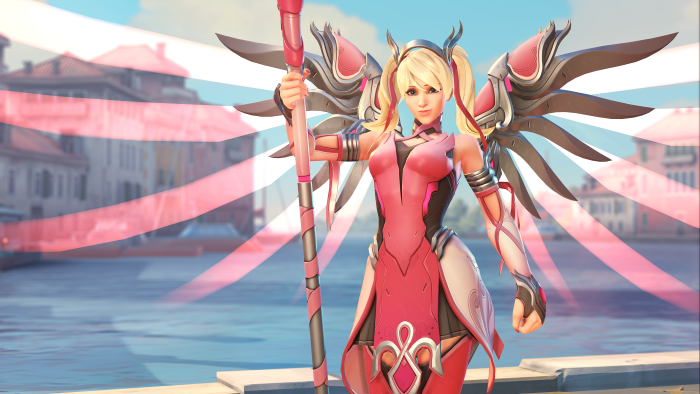 Over the next 14 days, a cadre of content creators from across the globe will be streaming Overwatch under the pink-ribboned banner of breast cancer research. 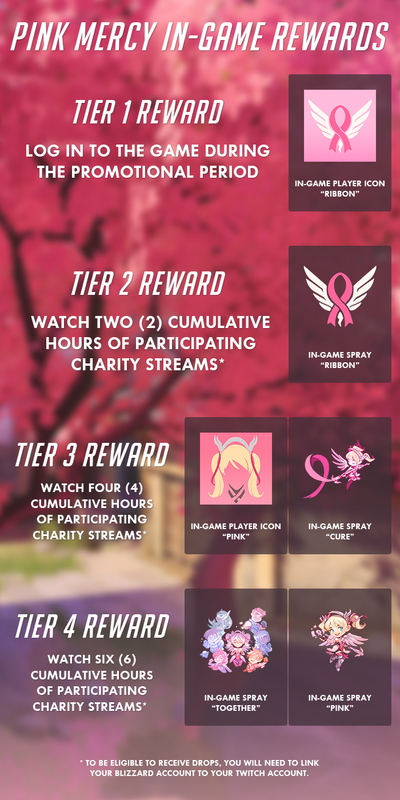 On designated days, each creator will host a dedicated charity stream on Twitch, and all tips and bits received during that specific stream will be taillied and donated to BCRF by the creator after the campaign concludes on May 21.